Earlier this month, the US International Trade Commission voted to investigate claims that Samsung and Qualcomm infringed upon patents owned by Nvidia®. On their blog, Nvidia states their goal with the patent suit to, “reach agreement with Samsung and its graphics suppliers.” So perhaps soon we will be able to purchase the Nvidia SHIELD tablet but not the Samsung Galaxy Tab. But whether they go to trial or settle out of court, one winner would be Apple. This is not a new phenomenon, as many patent lawsuits in the past have had unexpected benefactors. 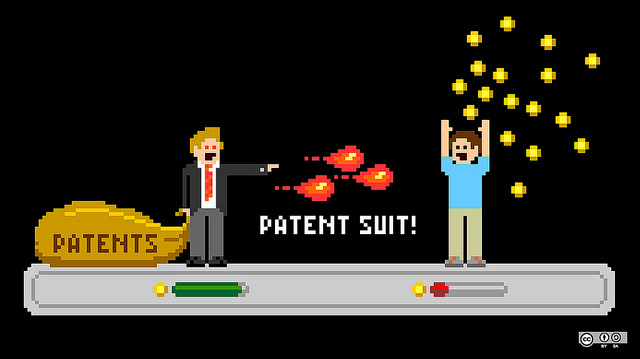 Below, we have compiled a list of five notable technology-related patent suits from the past 30 years and how they benefited some uninvolved companies. In the ’80s, one of the core issues involving desktop computers surrounded the “dashboard” or graphical user interface (GUI). As a New York Times noted in 1989, it was a time of transition and akin to auto manufacturers shifting emphasis from manual transmissions to automatic transmissions. At the heart of the controversy was whether there should be an industry-standard GUI and who should control said standard. Ultimately, the case was dismissed because it was determined that Apple made enough innovations to the GUI to set make it unique and not a clone. Though Xerox filed the suit against Apple, Microsoft was probably paying attention. By 1989, two iterations of Windows had already been released. Had the case gone in Xerox’s favor, Microsoft may have had to work out a license deal with Xerox as well. Rockstar Consortium isn’t a company most people would know, as it is a proxy company in a proxy war. Backing Rockstar however, are some names that should sound familiar. Microsoft, Apple, Research in Motion, Ericsson, and Sony are just some of the names that have a stake in Rockstar. Those companies—and by extension Rockstar—claimed that Google and other Android device manufacturers infringed upon Rockstar’s patent involving associated search engines. Benefactors: Microsoft, Apple, Research in Motion, Ericsson, Sony, and etc. The case is still ongoing, but if Rockstar wins the clear benefactors will be the companies backing it. Filed in 1988 and ending in 1994, Apple claimed that Microsoft Windows infringed on a variety of patents. Instead of emphasizing that individual elements of the GUI were being infringed upon, they claimed that the overall look and feel of the Mac OS was protected by copyright. Ultimately the courts ruled in Microsoft’s favor and stated that Apple themselves were not the originators of the ideas found in the Mac OS. Benefactors: Google and many other companies. As a result of this important case, all following lawsuits involving operating systems revolved around individual elements rather than general look and feel. It opened the way for companies such as Google to develop their own operating systems. In 2009, Microsoft was the defendant in a lawsuit filed by a company named i4i over an XML patent. The patent at the heart of the case involved retrieving content from a document’s metadata. It was eventually determined that i4i’s patent was applicable and the issue moved on to whether or not the patent should have been awarded. In the end Microsoft was required to pay i4i for infringing on the patent, which was deemed to be valid. Benefactors – Apple, Facebook, Toyota, and many other large companies. Perhaps benefactor is not the best way to describe those companies, as they did not actually benefit from the decision. It served as a warning to them about not thoroughly researching patents that their products could potentially infringe upon. What ends up happening in the Nvidia v. Samsung lawsuit will probably have long-term repercussions and undoubtedly benefit Apple in at least some way. For the moment however, we are still able to purchase Galaxy smartphones and tablets. What recent patent lawsuit do you think is particularly influential or think will happen soon? Let us know in the comments!